At St. Philip's our motto is "Everyone is welcome, and we really mean it." This is never more true than at Christmas, when we celebrate Christ's birth and the renewal of the Christian year. So please know you are welcome here, whether you're "church shopping" or just want to have a church connection at this special time of year. At our church, everyone is invited to receive Communion (though you're just as welcome to sit it out if you like). Our priest will invite you to the altar: at St. Philip's, we take the bread in our hand and eat it, then take the cup from the server's hand and drink from it. Those who wish to receive only bread are welcome to do that. 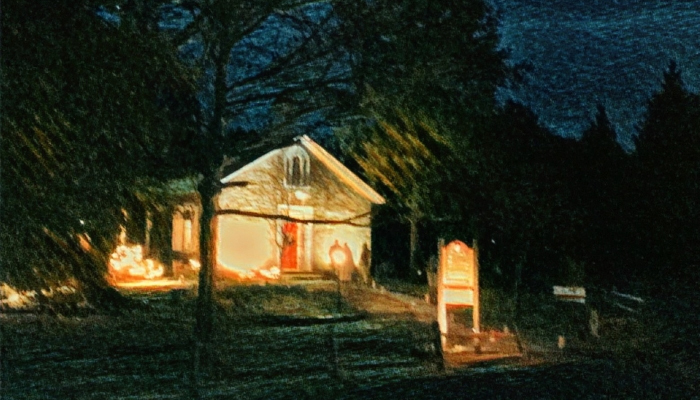 • Christmas Eve Eucharist with Music, Mon., Dec. 24, 4 p.m. and 10 p.m.
• Christmas Day Quiet Eucharist, Tues., Dec. 25, 10:15 a.m.
St. Philip's is not just a place to pray. Reaching out to help others, both near and far, is an important part of who we are. For example, over the past few years we have collected thousands of pairs of new socks for the homeless in our community, who number about 400 in Bucks County. Jesus was homeless, which makes this "ministry of socks" feel especially meaningful. So please feel free to bring a gift of new socks with you when you visit, and we'll make sure they get to a homeless person who can use them. Help us kindle the Christmas spirit at St. Philip's all year long!